The world has gone digital therefore the usage of internet has witnessed a sharp rise in last few years. More and more people are now connected to internet. From online shopping to online entertainment, people of all ages enjoying web services for different reasons. Today the requirements of internet has gone up because of many online web series and launch of several live TVs. Instead of watching movies or serials on TVs, most of the people love to enjoy the same on their systems through web access. Streaming services like Amazon Prime, Netflix and Hotstar have given a new exciting platform to users to enjoy their favourite movies and serials online. There is no denying fact that most of the people nowadays spend their quality time on using web connection on mobiles, tablets and laptops. To enjoy live streaming videos, one should have a reliable and high-speed internet connection. Without a fast web connection, it is really very difficult for users to enjoy a fine streaming experience. A recent study has revealed that there has been a jump of 50 per cent in the connection speed of an average web user. Due to latest technologies and innovative features, Internet Service Providers (ISPs) are now given more focus to boost the connection speed for smooth web access experience for the users. Today, there is a health competition in the market among the ISPs to provide best broadband connection to the users of their respective areas. Earlier users did not have many options to choose when it comes to get a web connection. Only dial-up and satellite connections were available for the users earlier. In fact today you will find only these two options in rural parts of India and many other countries as well. But with advancement of technologies, you can find different connections like DSL internet, fiber optic, wireless and many more in urban areas of the countries. If you look at all the connections closely, you will find that wireless connection is one of the most popular internet connections in the market. Choosing a wireless connection as per your need and requirement is not at all easy nowadays due to the availability of a wide variety of data plans. Users mostly get confused in picking a right connection provider among abundant number of internet providers because of the different attractive features. 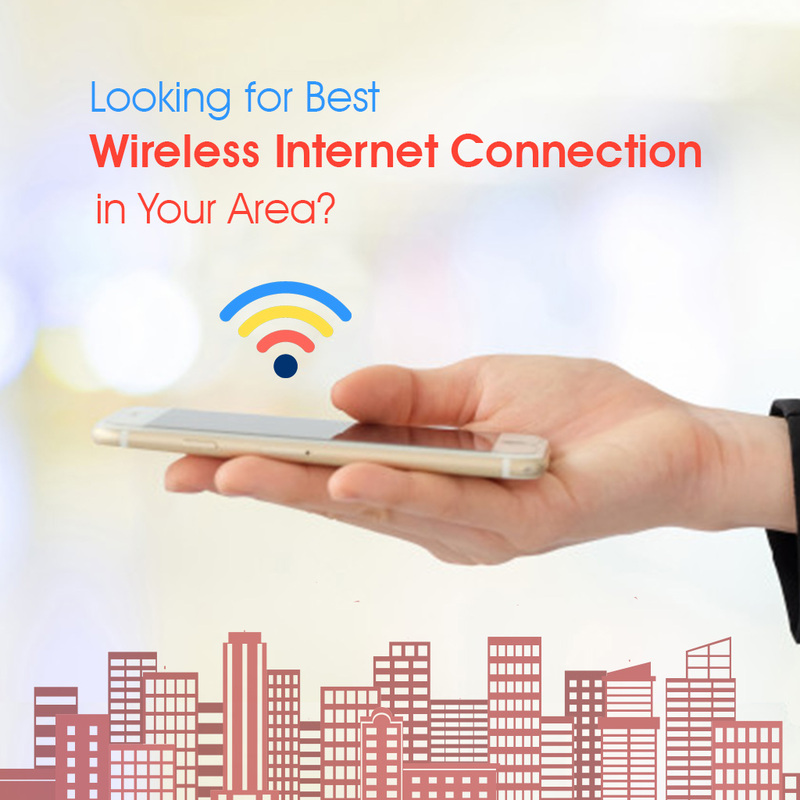 If you want a simple and smooth process of choosing a wireless connection without being getting confused, then you have to spend some quality time on research to find the best web connection provider in your area. This exercise might help you in choosing best wireless connection in your area. In case you live in any part of Delhi NCR then you don’t need to look for many options as TriplePlay Broadband is a trustworthy name in providing best broadband connection to home and offices in different parts of Delhi NCR. But it is still advisable to do the same exercise to build your trust on any connection provider. So just follow certain rule and don’t let your web connection go down!